This year is off to a lovely start, isn’t it? Rain, clouds, chilly weather – just add some chai tea and a good book and you have the recipe for a perfect day. The Beatles once sang, cryptically, “And though she feels as if she’s in a play / she is anyway.” Well, if you’ve ever wanted to strut your stuff onstage, here’s your chance. Upstage Napa Valley is holding auditions for its upcoming production of A.R. Gurney’s comedy “Sylvia!” at 7 p.m. Thursday, Jan. 24, at the St. Helena Public Library. It’s a splendid play for everyone, especially dog lovers, says director Sharie Renault. Rehearsals will run March 19 through May 9, with performances May 10-26. HG Contemporary is exhibiting work by surrealist artist Salvador Dali from 2 to 5 p.m. Saturday, Jan. 12, at Brasswood Estate, 3111 St. Helena Highway North – old-timers remember it as the old cement works. Melting clocks and funny mustaches – oh boy. Mark your calendars, Jay Greene fans. His historical lecture series is returning to the St. Helena Public Library in February with presentations on the Punic Wars (Feb. 12), Julius Caesar and the fall of the Roman Republic (Feb. 26), Charlemagne (March 12), partisanship (March 26), the construction of the Transcontinental Railroad (April 9), and 50 years of French history from 1869 to 1919 (April 23.) They each start at 5 p.m. Tuesday. Learn about the untold history of one of St. Helena’s gems, the White Barn, at 3 p.m. Wednesday, Jan. 16, at 2727 Sulphur Springs Ave. Meet Nancy and David Garden and their family, tour the 1872 carriage house that was once part of Civil War General Erasmus Keyes’ estate, and learn about how it became the cozy and welcoming performing venue it is today. RSVP to Rianda House at 963-8555 ext. 101. If you’ve never been to the White Barn, keep driving down Sulphur Springs Avenue. As soon as you start to suspect you’ve driven too far, you’ll spot it on the left. 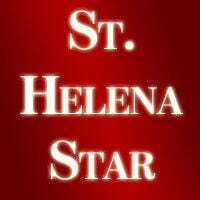 Low-income county residents have a chance to receive federal surplus commodities at 2:30 p.m. Thursday, Jan. 17, at the St. Helena Food Pantry, 1777 Main St., at the St. Helena Seventh-day Adventist Church. The food includes corn, mixed vegetables, peaches, split peas, blueberries, oat circle cereal turkey breast, tomato sauce, peanut butter, UHT milk and raisins. Last week I ruminated on the Cameo Cinema’s upcoming schedule. Now it’s worth noting that the Golden Globe winner for Best Musical or Comedy, “Green Book,” will be the featured film Jan. 11-17. If you watched Sunday night’s awards ceremony and wondered what all the fuss was about, here’s your chance to find out. “Green Book” isn’t the only movie showing next week. The Cameo is also hosting a benefit screening of “On Her Shoulders,” a documentary about Nadia Murad, a Yazidi who was enslaved by ISIS but went on to escape and win the Nobel Peace Prize, screens at 5 p.m. Tuesday, Jan. 15. St. Helena artist Nancy Willis and Ann Trinca will participate in a Q&A. The showing is part of “Conflict Zone,” a multi-event project curated by Nancy with major support from Arts Council Napa Valley. Proceeds benefit Yazda.org, which aims to prevent future genocides against the Yazidi community. Congratulations to the St. Helena Police Department for arresting a juvenile suspect in the Dec. 23 armed robbery at Azteca. It’s hard for urban folks to understand the frisson of unease that results from a violent crime in a peaceful small town like St. Helena. However, it’s comforting to know that the wheels of justice are turning in this case.